Why is 5.1V the standard Zener voltage and not 5V? 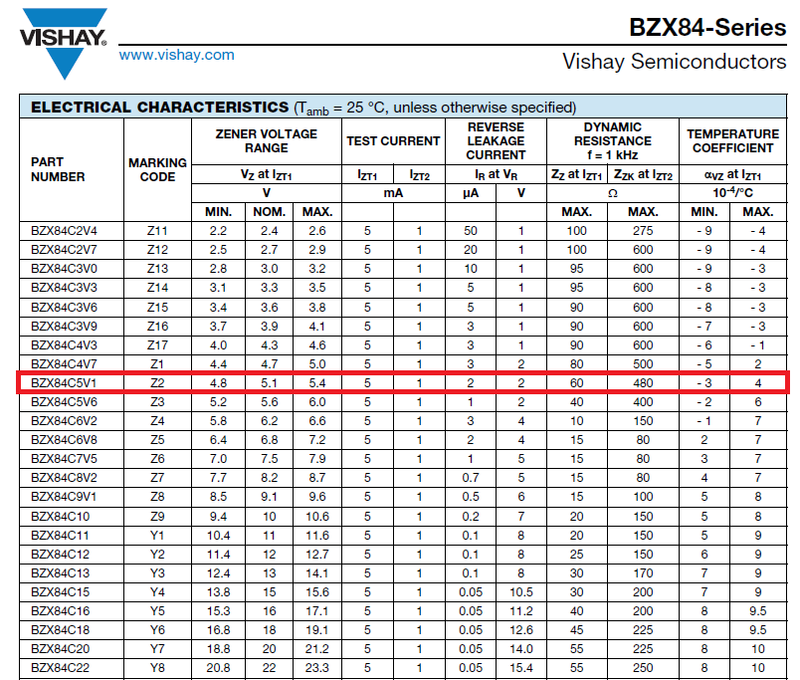 Looking on Digikey there are ~1300 results for 5.1V Zener diodes compared to 6 for 5V ones. Is there any physics-related reason for this or is it something else? 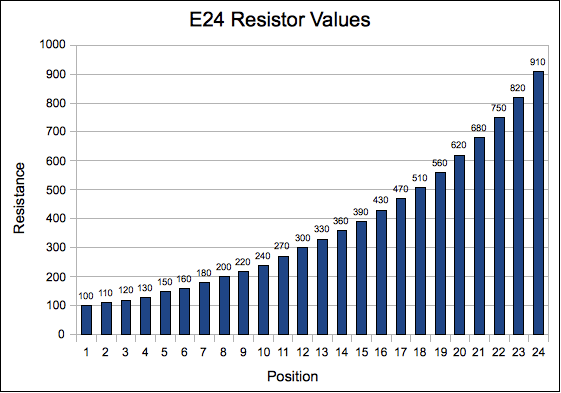 Zener diode voltages largely follow the E24 resistor value intervals, a range of a intervals specified with +/-5 % accuracy. Zener diodes have not particularly developed as a technology, with accurate voltage references using bandgap techniques instead. The intervals have stayed the same for many years. As an aside, Zener diodes are less commonplace in circuits than may be expected to electronics newcomers, who can sometimes regard them as appealing 'magic voltage drops'. Their combination of basic inaccuracy, notable variance with temperature and current and a fairly large working current for stability lessens their usefulness compared to other design approaches and components. So, quite often you'll find 4.3 volt, 4.7 volt, 5.1 volt, 5.6 volt zener diodes etc.. So, if you had asked why a lot of designs use 5.1 volt zeners I would say it is down to physics. Note that zener impedance is plotted on a lot-log graph- the impedance of a ~3V zener at 5mA is about 80 ohms, whereas that of a 10V zener is more like 8 ohms. So if we use a 400 ohm resistor on the former (from a 5V supply). If we similarly use a 16.7V supply and a 10V zener with 1.33K in series, the percentage regulation is more than 25x better with the latter. So lower voltage zeners are pretty useless. There is one niche where the zener voltage that is picked is based on physics, and on the above characteristics - and that is for voltage references. For many applications band-gap references have replaced zeners- they have many advantages, especially for non-critical applications- low power and low voltage operation etc. They are noisy and have other disadvantages, however those have gradually been addressed. Some of the very best component references were a zener diode with an integrated series diode to effectively zero out the temperature coefficient of voltage. This combination only works at a single voltage/current combination- about 6.2V or 6.55V, so the underlying +2mV/degree C zener is about 600mV less than that. An example of these parts is the 1N829. Those devices, while very stable, are less popular these days, partly because they cannot be trimmed so the voltage tolerance cannot be made extremely tight. Modern bandgap references with trimmed resistors can be made to very tight tolerances. Stability may not be as good as the zener though. 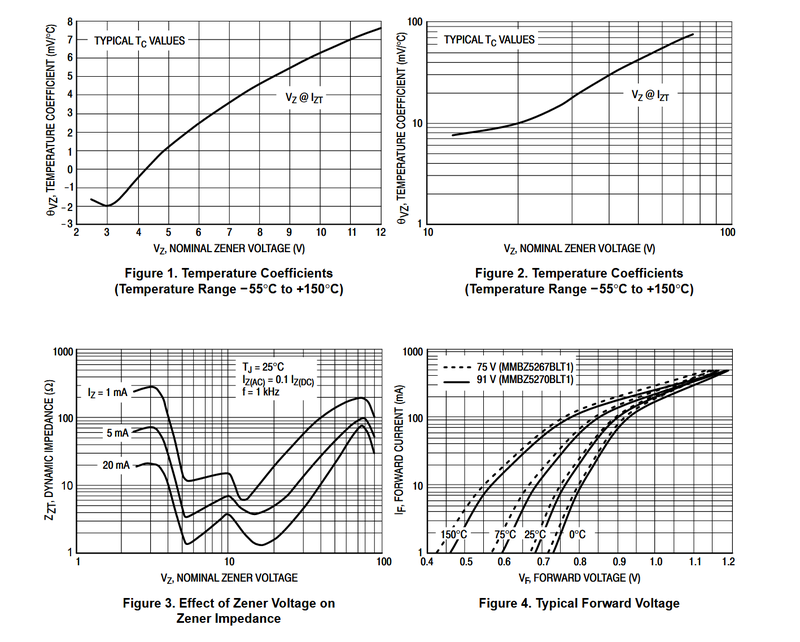 Some of the very best references available are still integrated Zener diodes (subsurface "buried" zeners with added temperature compensation and trimming, often in ovenized form). An example of that is the LTZ1000, probably the best commonly available reference in terms of tempco and stability (albeit expensive, power hungry and a bit needy in other areas). Zener Diodes tend to follow E24 series like Andy aka stated.The stated device to device tolerance of garden variety Zeners is 5% .When variations in temp and Zener current are factored in things can get a lot worse than 5% .The difference between 5V and 5v1 is only 2% .If you tested two bags of say 10 zeners that were bag A 5V and bag B 5V1 you might not be able to tell which bag was which .The same reasoning applies with 5% resistors. Not the answer you're looking for? Browse other questions tagged zener materials or ask your own question. Relationship between Zener voltage and current? Differences between TVS diode and Zener diodes, in diagrams and in practice?